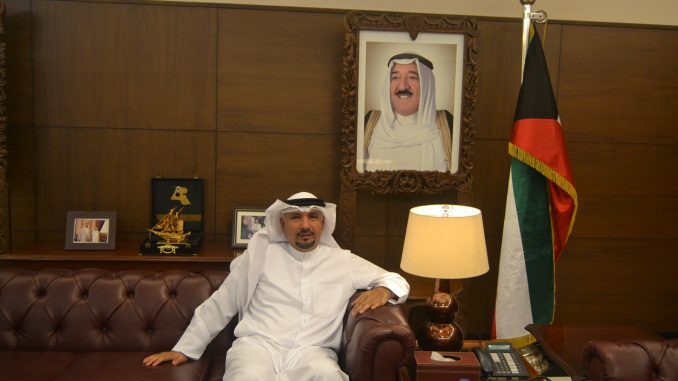 Ambassador of Kuwait Jasem Ibrahem JM Al-Najem has been in India barely for few months, but he is busy making his plans to further strengthen people to people relations with India which has very cordial relations with Kuwait. THE BLUE MOON Editor Amit Mittal got an opportunity to speak to him about bilateral ties. Some excerpts from the talk with the Ambassador. …. Read More…. 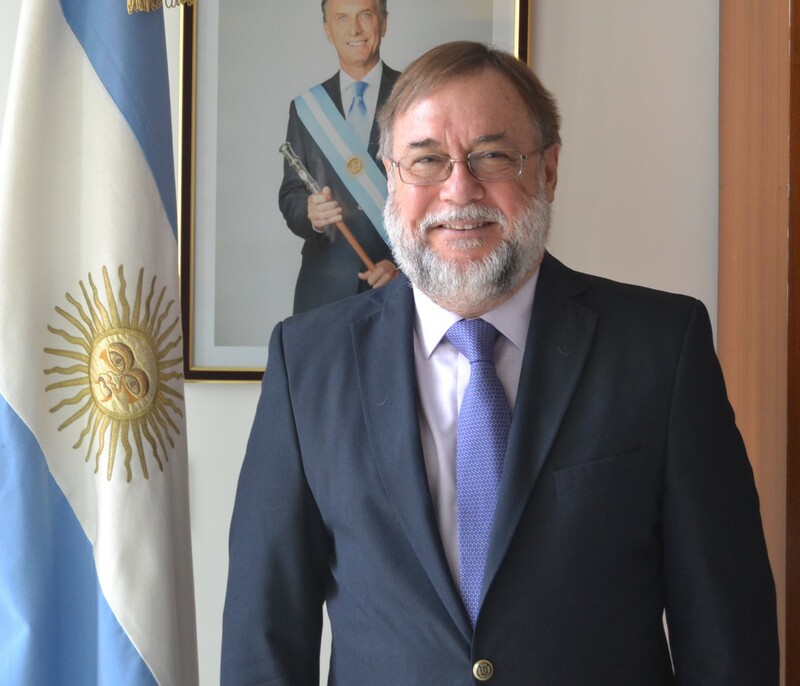 Ambassador of the Argentine Republic, Daniel Chuburu who presented credentials to President Ram Nath Kovind in New Delhi on 17 April has all hands full. He is a busy diplomat who has a lot to do during the coming days. 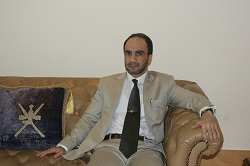 Although he considers that the relations with India are very good, there is yet a lot to be achieved. THE BLUE MOON Editor Amit Mittal spoke to him about his plans in his office. There are a lot of issues that we share with India in the international fora. For Argentina, India is the sixth most important country, but there is lot more which can be done, he says. ....Read More…. 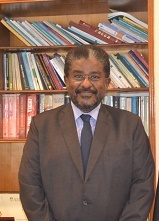 Sudan has recently emerged out of the burden of US imposed sanctions. The country is trying to recover the past shock. THE BLUE MOON Editor Amit Mittal spoke to Ambassador Sirajuddin Hamid Yousif on the prospects of growth of trade between India and his country. Some excerpts:Trade with India has depleted from USD 1.4 billion in 2014-15 to USD 996.5 million in 2016-17. Why the trade has gone down? (Indian Commerce Ministry figures).……. Read more…. 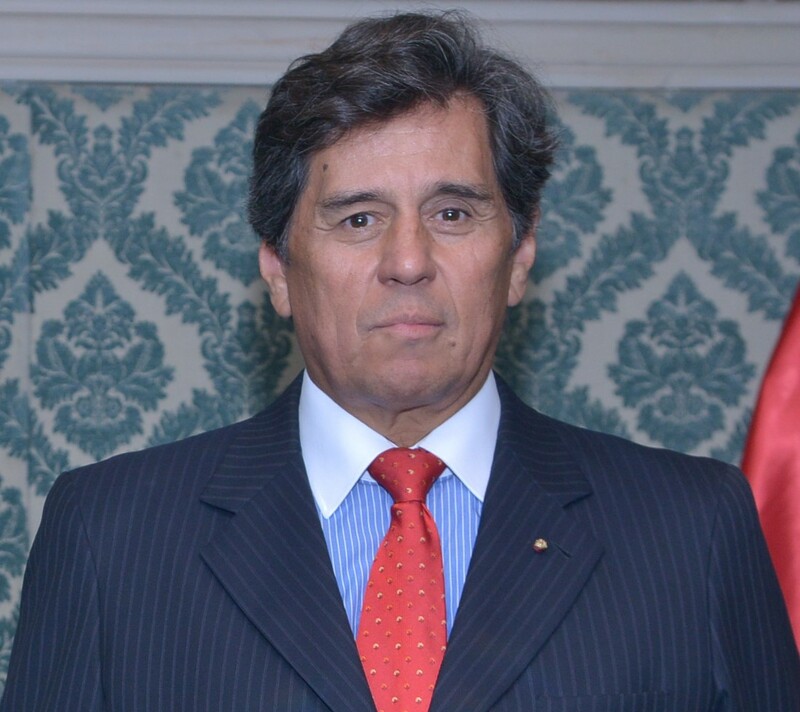 Ambassador Jorge Juan Castaneda Mendez of Peru has been in India for barely six months, but he has been working untiringly to promote relations between India and Peru. 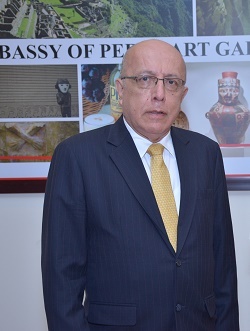 At his official residence he has created an Art Gallery of the Embassy of Peru with a display of Peru’ s Ancient Cultures ceramics and also launched India Peru Friendship Association. THE BLUE MOON Editor Amitt Mittal spoke to him about bilateral ties between the two countries. Some excerpts from the interview:……. Read more…. 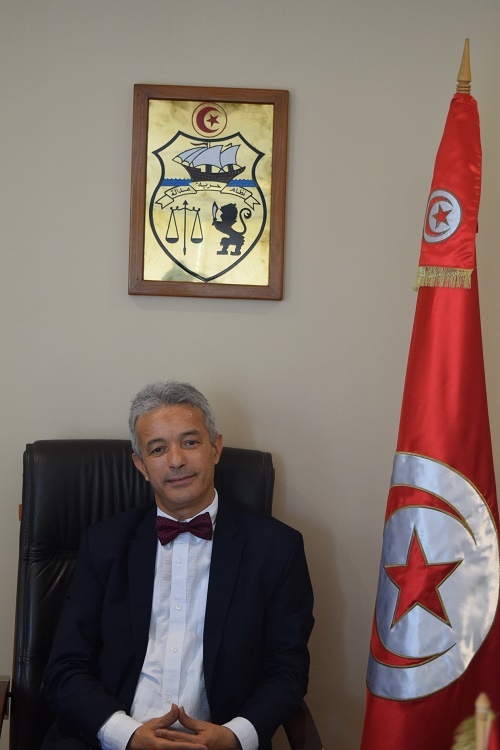 THE BLUE MOON had an opportunity to speak to Ambassador Nejmeddine Lakhal of Tunisia who spoke about sweeping changes that have taken place in Tunisia after the popular revolution of dignity that took place in 2011 . He also talked about perspectives of prosperous Tunisia and Indian partnership. Some excerpts of the interview granted to Editor Amit Mittal. Ever since the Arab Spring of 2011 what has changed in the economy of the country? There have been lots of irreversible changes. Since the popular and peaceful revolution of January 2011, ……. Read more…. One of the leading ICT countries Estonia has solved problems the world struggles with – digital identity, cyber security, Ultra high access, usage and interoperability across citizens, business and state levels. The Estonian state offers over 3000 e-services to citizens, businesses and now e-residents. 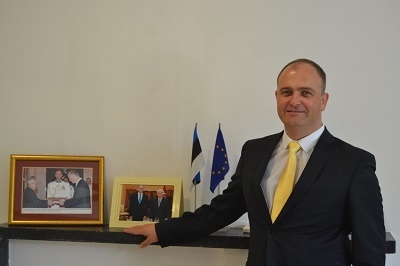 Ambassador of Republic of Estonia, Riho Kruuv speaks out in an interview to THE BLUE MOON. ….Read more …. Ethiopia is Africa’s oldest independent country and the second largest in terms of population.It served as a symbol of African independence throughout the colonial period, and was a founder member of the United Nations and the African base for many international organisations. 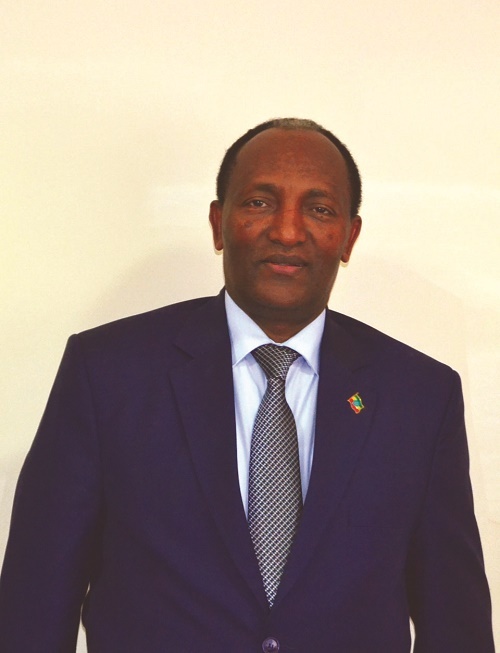 Ethiopia is located in the horn of Africa with a total area of 1,104,300 square kilometres. 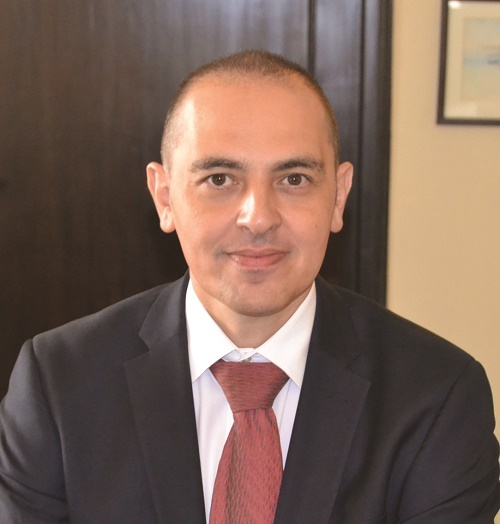 THE BLUE MOON Editor Amit Mittal …… Read more…..
Malta, an island-state with a population of 420,000, is the maritime hub of Europe and is set to hold the next Presidency of the European Union starting 2017. Although trade with India is proportionately small, Malta’s High Commissioner in New Delhi, Stephen Borg, has big plans for increasing the volume. 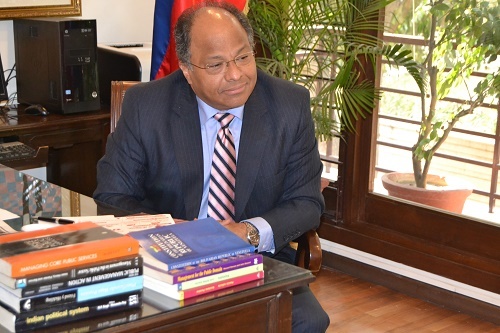 THE BLUE MOON Editor Amit Mittal spoke to the newly appointed High Commissioner on his ambitious plans. Some Excerpts:……. Read More…. The last high-level visit to Slovenia from the Indian side was Minister of State for External Affairs Gen. V.K. 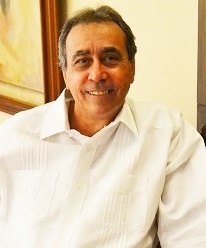 Singh who attended the Bled Strategic Forum in 2014. Thereafter, no visit from India has taken place. 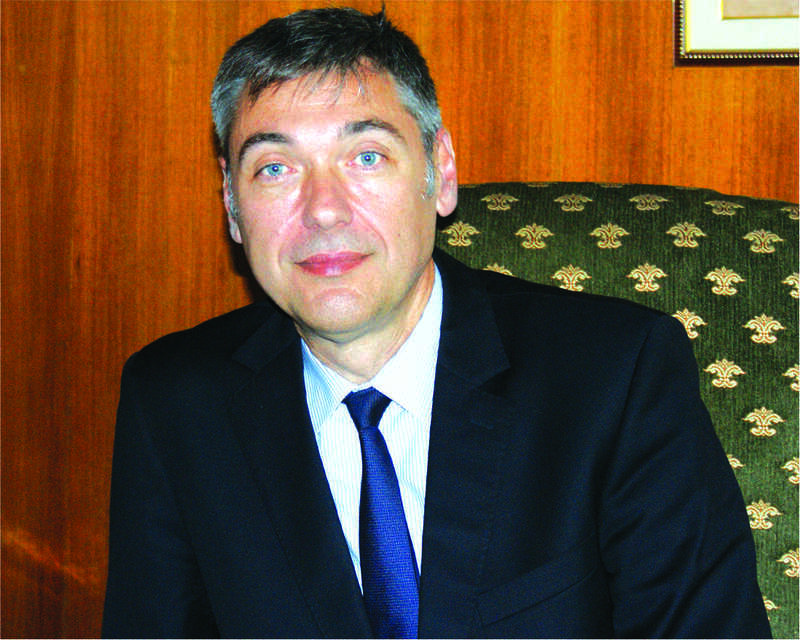 THE BLUE MOON Editor Amit Mittal spoke to Ambassador Jozef Drofenik of Slovenia on state of bilateral ties and trade which stood at Euro 306 million last year…… Read More…. 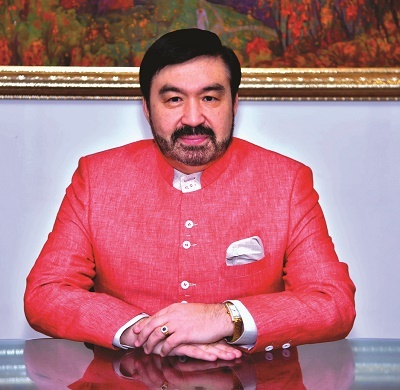 Excerpts of an interview that THE BLUE MOON Editor Amit Mittal had with Ambassador of Turkmenistan Parakhat H. Durdyev:The first and foremost let me express my gratitude to “The Blue Moon” for a chance to share my views on different aspects of our cordial bilateral relations, their progress and of course history. 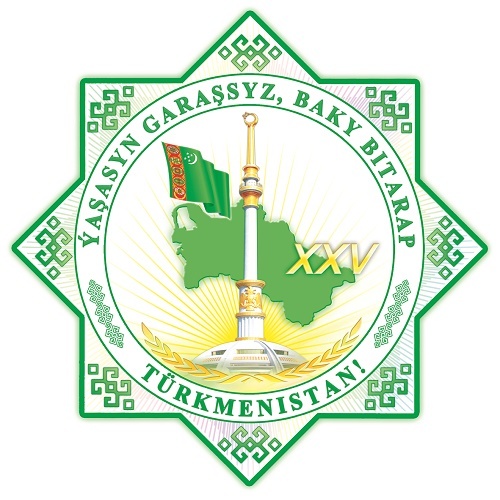 The year 2016 has a special meaning for the people of Turkmenistan – 25th Silver Jubilee Year of Independence. …… Read More…. Côte d’Ivoire opened its Resident Mission in New Delhi in September 2005. After a decade of political instability, Alassane Ouattara became the President of Côte d’Ivoire in May 2011, following the presidential election held in November 2010. Since then, the relationship with India has gained a good pace. 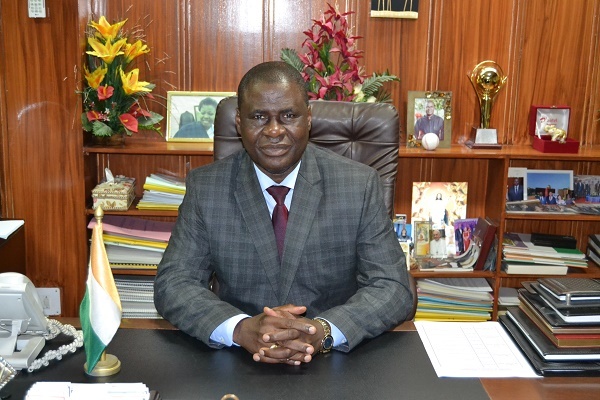 THE BLUE MOON Editor Amit Mittal spoke to Ambassador SAINY Tiémélé of Côte d’Ivoire on the growing relationship between India and Côte d’Ivoire. Some excerpts of the interview: ……Read more…. With the United States lifting a 50-year-old ban on commercial air travel　to Cuba in February this year, the Caribbean island nation is of growing interest to travellers, both business and leisure. Soon there could be a hundred flights operating daily between the US and Cuba. 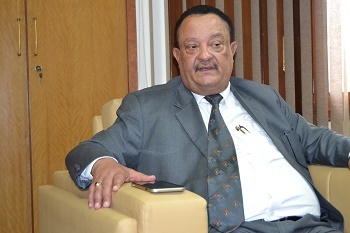 Moreover, South Korea and Cuba holding their first foreign ministerial talks in Havana, breaking decades-long absence of formal diplomatic exchanges between the two sides were concrete reasons to speak to Ambassador Oscar I. Martinez Cordoves of Cuba in New Delhi. THE BLUE MOON Editor………….Read more….. 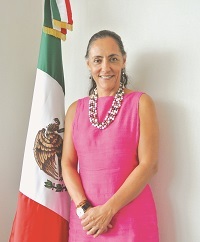 In an interview to THE BLUE MOON Mexican Ambassador Melba Pría speaks on subjects like Free Trade Agreement with India and the country’s view on UNSC permanent membership.Figures for bilateral trade with Mexico stood at USD 6.45 billion in 2014, what is your opinion? Is the figure satisfactory? What are the hindrances in the growth of trade? Are there any issues with customs tariffs?Trade between Mexico and India has been growing rapidly in recent years, however, it is yet well below its potential.India is one of the most important trading partners for Mexico…. Read more….. 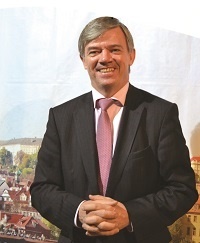 Although Czech Ambassador Milan Hovorka is new to New Delhi, he has been fast enough in winning over friends with his affable nature and warm smile. Be it the first meeting with him, he makes one feel as if he is known to you for many years. THE BLUE MOON Editor Amit Mittal managed to get this interview with him in spite of the one hour delay in arrival at the Embassy due to Delhi’s notorious traffic jams. 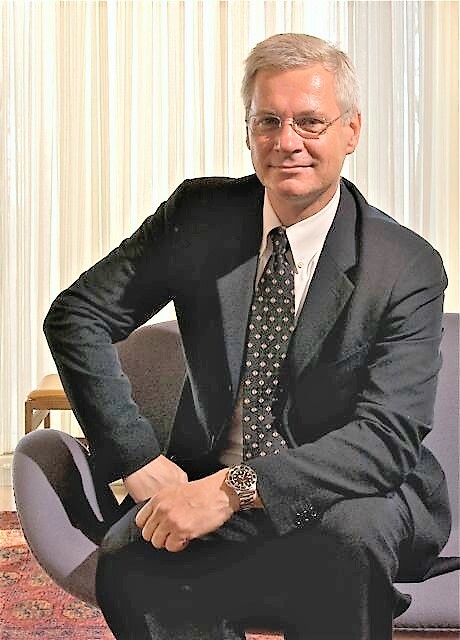 The Ambassador obliged with a smile as if saying, “I don’t mind.” Here are the excerpts from his interview :……… Read more…..
India’s third largest supplier of crude oil is a country which has the largest reserves of crude oil in the world. Handing out a picture of Simon Bolivar to THE BLUE MON Editor Amit Mittal before an interview, Ambassador of Bolivarian Republic of Venezuela, Mr. Augusto Montiel further informed about the installation of a bust of…… Read more……..
Chile has been promoting its agro products very strongly into India for the past few years. We witnessed wine tasting and sea food presentations in the Capital by the predecessor of Ambassador, Mr. Andres Barbe which prompted us to chase him for an interview, but not before we were surprised to get another opportunity to taste Chilean walnuts in Delhi. Finally Mr. Barbe obliged; some excerpts from the talk THE BLUE MOON Editor Amit Mittal had with him are presented here : .....Read more…. High Commissioner of Namibia in India Pius Dunaiski speaks to THE BLUE MOON Editor Amit Mittal about prospects of closer ties between India and Namibia.Though political relations between India and Namibia are said to be very cordial, one fails to understand why trade figures are so dismal, largely import from Namibia is minuscule?When our Trade Minister Calle Schlettweil visited India……... Read more…..
Mr. Petko Doykov, the Ambassador of Bulgaria in India, has been in his office here for over a year now. He has come at a time when there has been a change in the government in India leading to new policies, specially trade and economy. 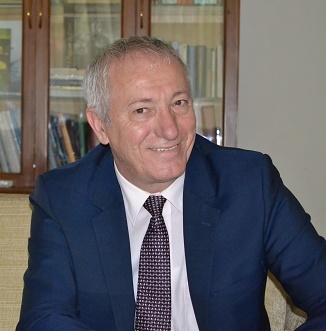 For Mr. Doykov it is an uphill task to give the bilateral relations a new impetus although Bulgaria has had close links with India in the past. 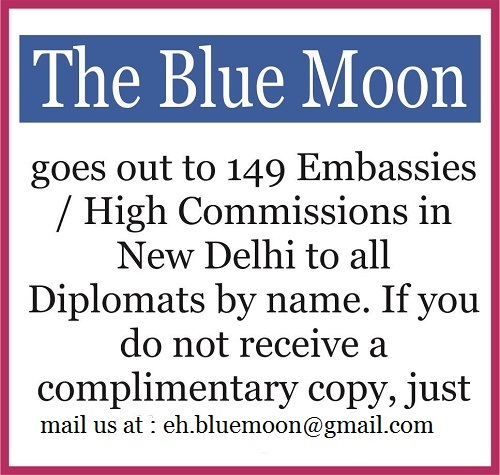 THE BLUE MOON Editor Amit…..… Read more…..
India’s relations with this country date back to a thousand years. During the past 200 years, the family of Sultan Qaboos bin Said Al Said of Oman has had close relations with India. 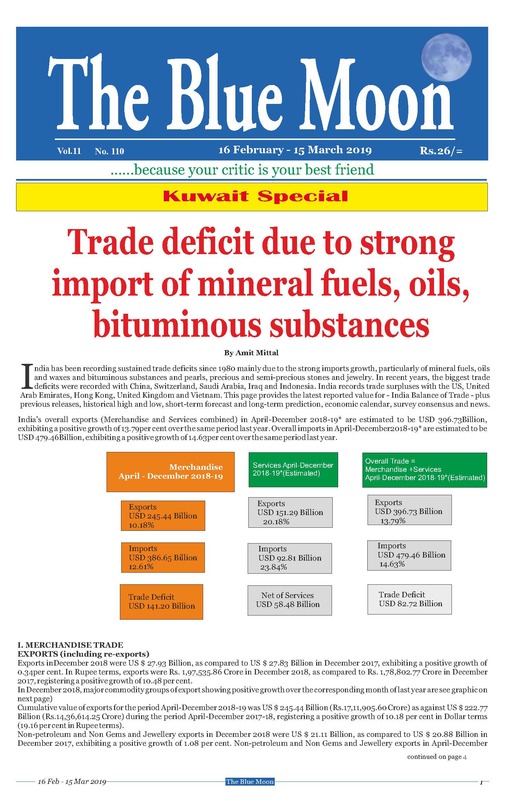 However, twenty years ago, the trade was not as much between India and Oman as it is today reaching a peak of USD 5.7 billion. It is a big jump. Oman is into many big projects with Indian companies. Oman is investing in solar energy and IT. ..... Read more…..
Is the Statue of unity a “total nonsense” ?